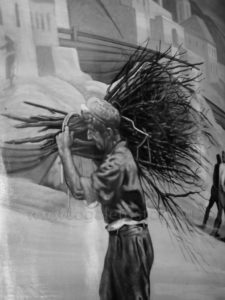 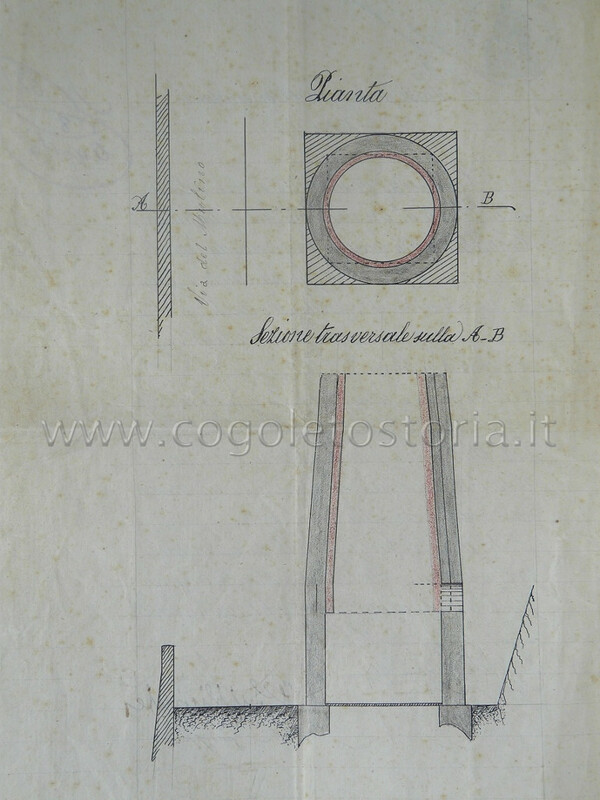 Despite the ancient tradition that traces the origins of the lime industry in Cogoleto to the Roman era, the first document found, according to the current state of research, that talks about it dates from the early fifteenth century. From the numerous archival documents it seems that such production was very important for the economy of the country. 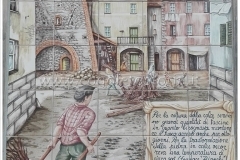 Regarding the number of the furnaces in the area it ranges from a minimum of six to a maximum of twelve, depending on the periods in which the detections are carried out. 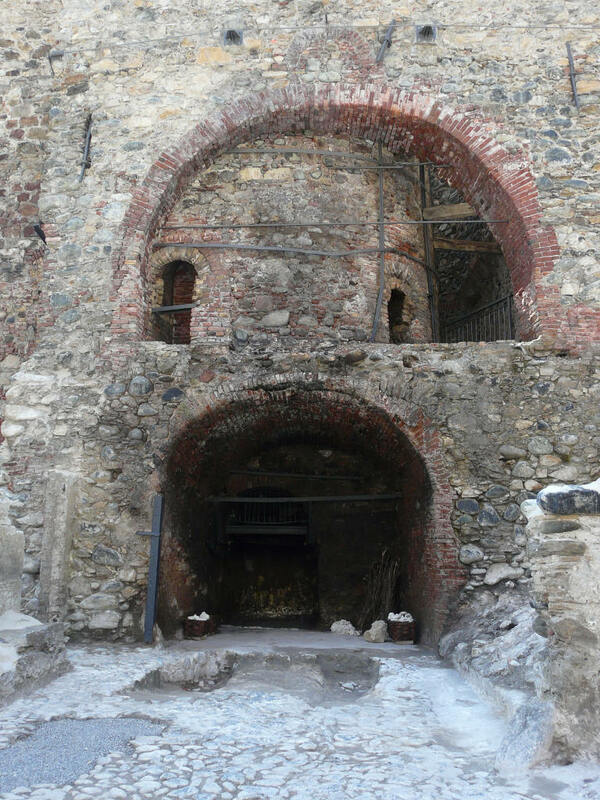 The oldest lime furnaces, known as furnaces using intermittent fire, were located in the center of the village, among the houses, and in the proximity of the sea and of the seaports from which departed the ships used to transport lime. Subsequently, in the first half of the nineteenth century, these furnaces have ceased to produce. They were then gradually replaced by those so-called continuous fire, more modern, built far from the houses, near the limestone quarries that are located upstream of the railway station. 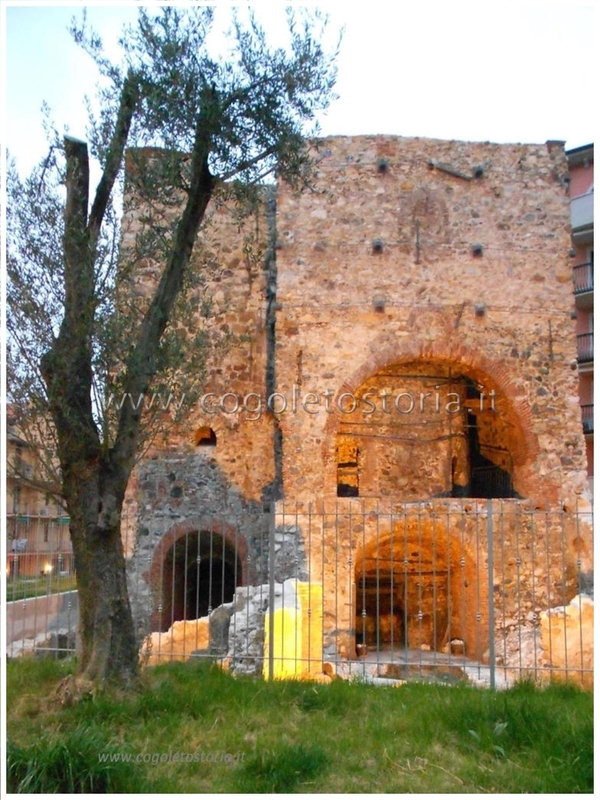 Among these there is the furnace “Valle” (todey no more completely visible) the discharge port of which has been preserved, in order to remember its presence, merging it inside a private building. 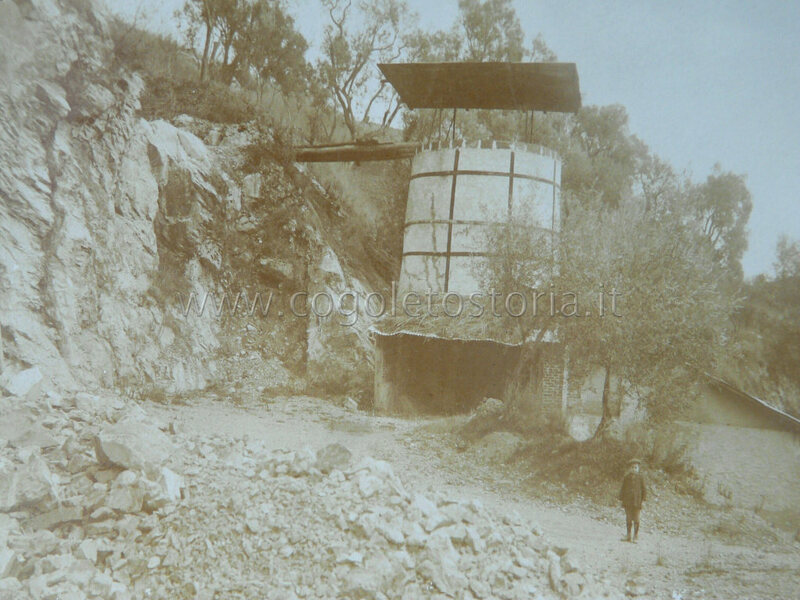 Furnace “Valle”, built beside the quarry limestone, is visible in a nice photograph taken at the beginning of the twentieth century. 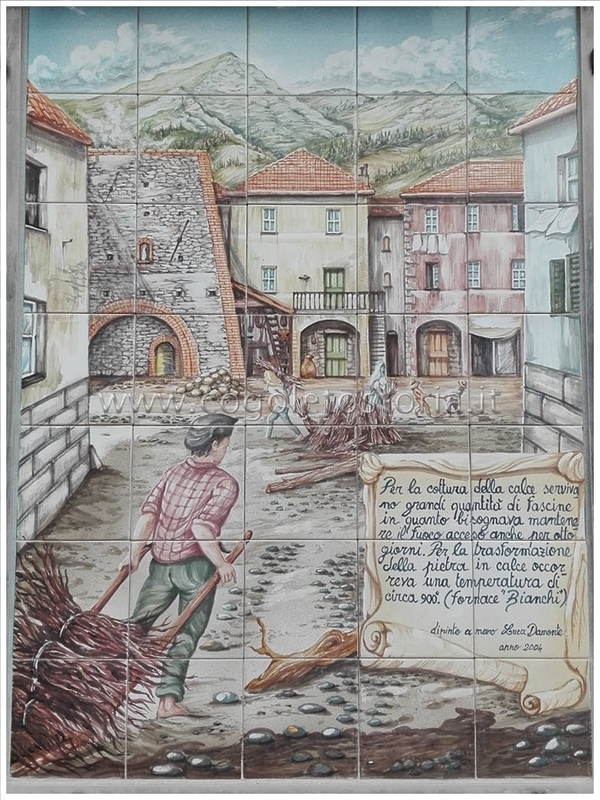 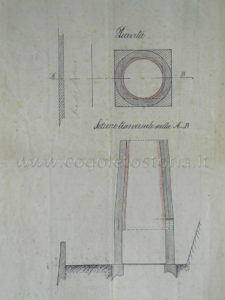 The request to build the furnace containing the drawing presented by the owner Mr. Giuseppe Valle on 16 july 1909, has been kept. 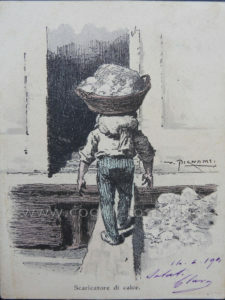 This important industrial activity involved, for centuries, the population of the country (men, women, boys) call to collaborate in various forms such as: in the harvest of wood bundles in the municipal woods, the mining of limestone, the transportation of material to the furnace, the furnace load, the ignition of the furnace, the maintenance and control of the fire for at least eight days. 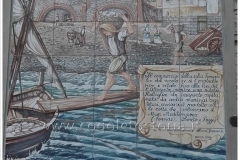 Once cooked and extinguished the furnace they proceeded to transport the product by sea with the numerous ships used for this kind of transport and commanded by the daring sailors of Cogoleto. In practice a whole country at the service of this important productive activity which lasted approximately until 1950. 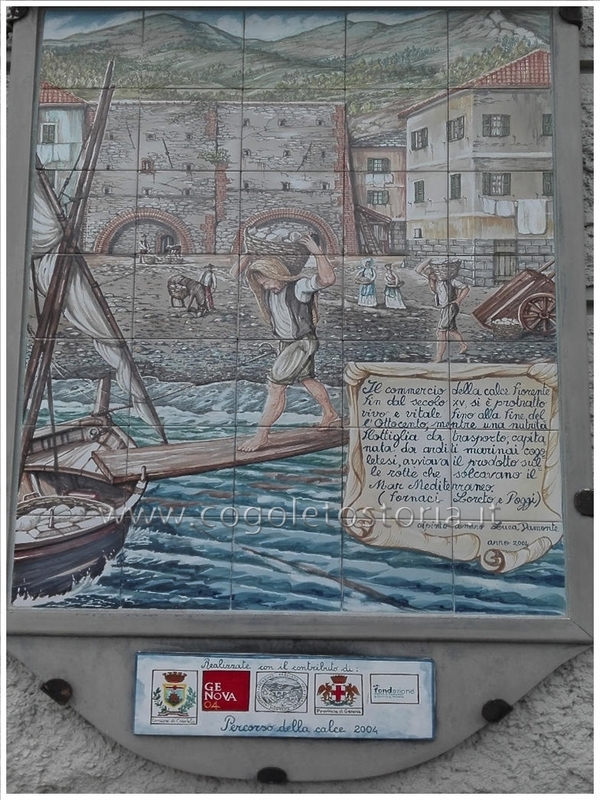 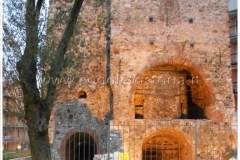 So for many centuries the people of Cogoleto worked in the furnaces to produce lime of good quality, also used for the contruction of prestigious buildings (Ducal Palace, headquarters of the Doge and of the government of Genoa), defensive and port works.